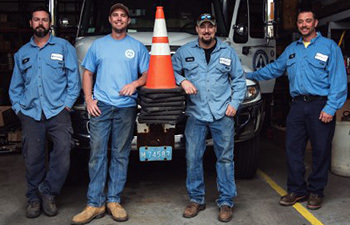 Ashburnham Municipal Light Plant is always working in our customers' best interests. We participate in and support our communityâ€”sometimes behind the scenes, and sometimes in very visible ways. Here are some of our latest announcements, projects and initiatives. 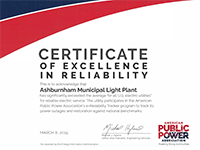 The AMLP has been recognized by the American Public Power Association for significantly exceeding the reliability average for all U.S. electric utilities. The AMLP participates in the American Public Power Association's e-Reliability Tracker program to track its power outages and restoration against national benchmarks. The AMLPâ€™s Battery Storage Project went online January 1st, and since that time has released energy January, February and March, successfully reducing our monthly transmission peak. Congratulations to the AMLP staff on the completion of a project that will provide years of peak demand reduction, helping to control transmission and capacity costs. 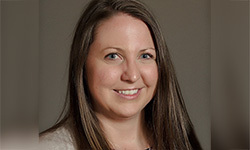 The Municipal Electric Association of Massachusetts (MEAM) recently recognized Brooke Csaznowski, the AMLP's Office Manager, with a "2018 Communicator of The Year Award". The decision was made by MEAM's Communications and Energy Services (CES) committee. Congratulations, Brooke! Ashburnham Municipal Light Plant is one of 26 communities to receive a state grant for a $2.5 million battery storage project. The $600,000 grant will cover 24 percent of the cost of a 2-megawatt battery storage system that will reduce Ashburnhamâ€™s dependency on power from the grid and more. We're proud of our entire team. 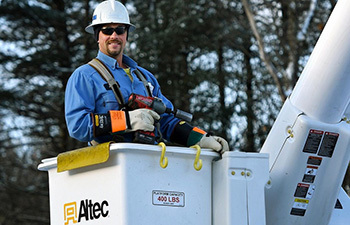 On December 16, the Sunday Telegram featured our own Jeff Schrecke, one of our linemen who had just returned from St. Thomas in the US Virgin Islands, helping out with the restoration of their power grid. 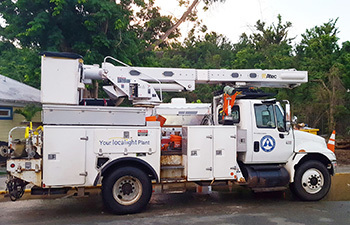 After experiencing the destruction of Hurrican Maria during relief efforts, AMLP donated one of its bucket trucks to the U.S. Virgin Islands Water & Power Authority to assist in the hurricane relief and power restoration efforts on the devastated islands. The US Virgin Islands Water & Power Authority called for mutual aid after devasting Hurricane Maria...and AMLP answered by sending 4 linemen and a bucket truck. 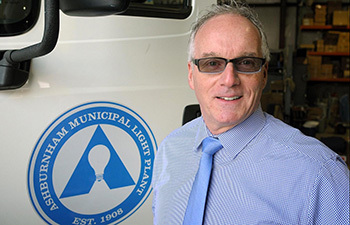 It takes just right the person with the right qualifications and capabilities to run a municipal light plant like AMLP. Kevin M. Sullivan is just the right fit.